Home Life Style Why Does Slicing Onions Make your Cry? Why Does Slicing Onions Make your Cry? 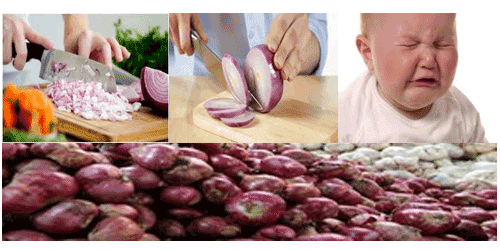 Slicing onions causes eyes to tear because of a chemical reaction producing a sulfur-based gas. When your knife slices through a crisp onion, it tears through cells, releasing the cells’ contents. Chemicals react to produce a sulfur-based gas. Once the gas contacts the water coating your eyes, it forms sulfuric acid, a fiery irritant. To rid your peepers of the intruder, your tear ducts work overtime. If you aren’t game for sporting goggles in the kitchen, try moving your face farther away from the onion so the gas disperses before reaching your eyes.